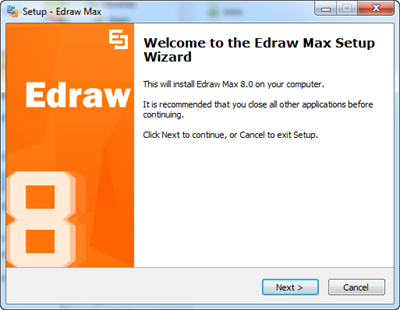 To install or uninstall Edraw products, you can use the setup program in the software install package. 1.Depending on your connection speed, the download may take up to a few minutes. 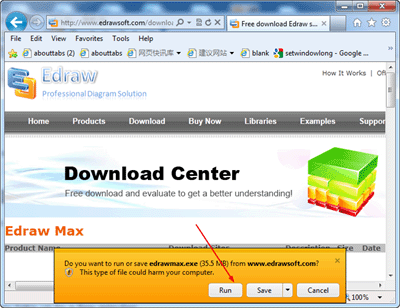 Click the Run to download and run the Setup program. Or click the Save to save the setup program into your computer. 2. The Product setup wizard will be launched. Follow the setup program to complete the install. 3. Click the Program Desktop Icon or Start Menu to launch program. You can click the Uninst000.exe in the install folder to remove the program completely.